47 males training for 12 weeks showed the following improvements in the table and chart below. 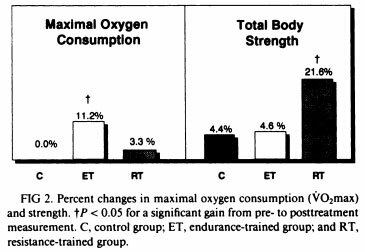 The results were very clear, the endurance training group improved their lung power (VO2MAX) far more than the resistance training group (11.2% vs 3.3%), and the resistance training group increased their strength far more than the endurance training group (21.6% vs 4.6%). That result is as would be expected. It shows that resistance training is somewhat effective at improving lung capacity, but is not optimal. Also notable, the resistance training group had the greatest improvement in body composition (reduction in body fat percentage), a fall of 2.5% compared to 1.5% in the endurance training group. 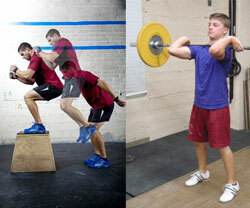 The resistance training group increased muscle and decreased fat, while the endurance training group only decreased fat. VIHT involves re-inhaling some of your exhaled CO2 to reduce the amount of oxygen inhaled. These machines are rare however, mainly existing in laboratories. RRMT adds resistance to your inhaling and exhaling. This equipment is far more available to the average person, it’s even available to purchase on Amazon (Power Lung) for a little over $100. So let’s get to the results. 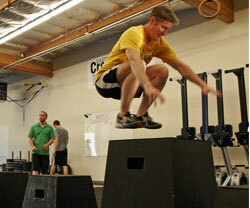 This study was done on 8 experienced runners for 3 days per week, 30 minutes per day. It included 4 weeks of RRMT then 4 weeks of VIHT after that. So don’t be confused by the chart below, the RRMT group had 4 weeks or training while the VIHT group had 4+4 weeks of training. 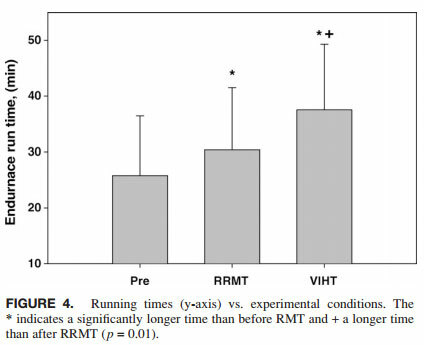 RRMT alone increased endurance run time by 18% while RRMT+VIHT increased endurance run time by 46%, so the additional 4 weeks of VIHT added an additional 28% to the endurance run time. VIHT looks to be somewhat superior, but RRMT was also effective. Considering their comparative availability, I’d recommend VIHT only to serious athletes with a big budget, and RRMT to other athletes. Another study found that 4 weeks of training for 30 minutes per day, 5 times per week increased swimming endurance time by 33% from RRMT, and 38% from VIHT. Considering the results are similar, RRMT is very useful for swimmers. An alternative RRMT product to the Power Lung mentioned above is the Power Breathe for a little under $100. 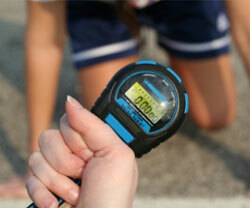 If you want to measure your progress over time, Peak Flow Meters are very affordable. Personally I’d rather the respiratory resistance training devices mentioned above, but singing is also effective for increasing lung capacity. As you can see in the table below, both girls and boys who sing have 24% higher lung capacity than those who don’t. So if you sing loud and often, it will in turn improve your lung capacity and in turn your sports endurance (swimming, running, rowing, etc). You probably guessed this already, but swimming leads to improved lung capacity. One thing of note though is that swimming is superior to running for lung capacity, so swimming could be beneficial for runners in that regard. Swimming reduces the symptoms of asthma and is less asthma inducing than other sports. So not only is swimming good for lung capacity for sport, but it’s good for asthma sufferers too. 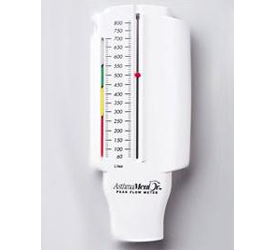 If you’re looking to test your lungs then a Peak Flow Meter will test your lung strength or simply blowing up a balloon with a single breath then measuring the size/diameter can test your lung capacity (make sure to use the same batch of balloons for future comparison tests). Simply practicing endurance exercise at a good intensity does help your lung capacity, but there are also devices available that can help you to improve even further. As with most of our articles, the goal is to help you beat the competition or improve yourself, and lung training is just one more way you can do so. 2 Responses to "How To Increase Lung Capacity and Endurance"